How To Check If An SD Card or SD Card Reader Is Defective? Wally’s Answer: Using SD cards can be difficult if they don’t work. Especially, when you can’t figure out if the problem is in the SD card, its reader, or something entirely different. How can you check to see where the problem is? Lets find out! Does the SD Card not appear in “My Computer” or “File Explorer” at all? then you need to look at these instructions first. The user is not able to use the SD card but does not know if the SD card or the adapter are even working. There are many counterfeit and fake copies of branded flash drives out there. Most SD card readers on the market are also cheap and low quality. How To Check If A New SD Card Has The Advertised Capacity? You can check if the SD card you bought has its advertised capacity (typically 90% of the advertised amount) by using Chip Genius. It is free. How To Check If The SD Card is damaged or Not? You can run a test on the SD card to verify if it is damaged or not. 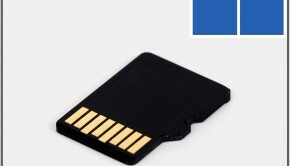 A damaged SD card will need to be replaced. You can use h2testw to run a diagnostics test on the card to make sure if it is in working condition. Using a damaged SD card can cause data loss anytime. So, it is best to avoid using it. Is The SD Card Reader Working? There is a possibility that the SD card reader is not working. To confirm this, you will need to test it with a working SD card. If you’re using a laptop computer to read the SD cards and you’re running into problems, then you should try using a USB to SD card reader instead. If you already own one, then you should try to replace it.